No-shows will result in 100% of the appointment cost being charged to the card provided to secure your booking. No-shows will result in your deposit (usually 50%) being fully retained AND the remaining balance of the total cost of the appointment being charged to the same card. Please remember that Gift Certificates must be redeemed within 12 months of issue. Please remember that all treatments as part of a Package must be redeemed within 12 months of purchase. We now offer real-time online booking which you can access 24 hours, 7 days a week (valid credit or debit card required to secure your booking and a small deposit will be taken). Alternatively, please call us on 0118 958 8190 to book your desired massage or treatment (a 50% deposit will be taken to secure your appointment). Please see above for details of our cancellation terms and conditions. We respectfully request that you arrive 15 minutes prior to your scheduled appointment time in order to relax and prepare your mind and body. During this time, we will ask you to complete our medical history questionnaire. Monday to Friday, last appointments are at 6.30pm for 60 minute treatments and 7.00pm for 20-45 minute treatments. Saturday and Sunday, however, last appointments are at 3.00pm. At reception, we accept all major credit and debit cards, cash and Ayurveda Retreat Gift Certificates. Unfortunately, we are unable to accept personal cheques. 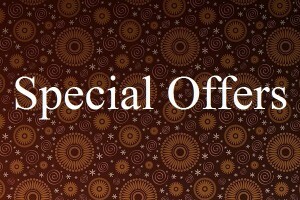 When you purchase a Treatment Package you will receive a discounted price for 5 x treatments. All treatments as part of a Package must be redeemed within 12 months of purchase. Because of the discounted price, payment is to be made upfront, and these Packages are none refundable. However, you may choose to receive any unused value of your Package in the form of a Gift Certificate, which will remain valid for 12 months from date of issue. Gift Certificates can only be redeemed against the treatment that they state and must be redeemed within 12 months of purchase. We are happy to offer you a full refund on any herbal purchases you have made, provided you return them unopened within seven days of purchase. Out of duty of care, our therapists are unable to carry out treatments on clients that are pregnant. The only exception to this is if carrying out a Pregnancy Massage, which is specifically designed to ease some of the discomforts of pregnancy. Even in the case of this particular massage, however, the client must: a) be in the second or third trimester, b) have a low-risk pregnancy and c) have verbal permission from their GP. In order to preserve the tranquillity of Ayurveda Retreat, we respectfully request that you turn your mobile phone off or onto silent, on arrival. Ayurveda Retreat is a smoke-free zone.